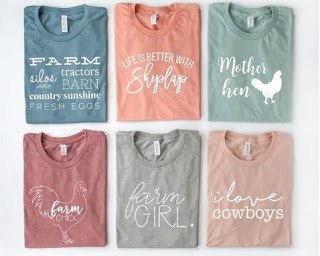 One Momma Saving Money: Farm Life Graphic Tees (Was $28.99) - Now $15.99 + Free Shipping! Farm Life Graphic Tees (Was $28.99) - Now $15.99 + Free Shipping! Embrace your inner farm girl with our farm life graphic tees. * Please note that each tee is made to order so please allow for longer shipping time.